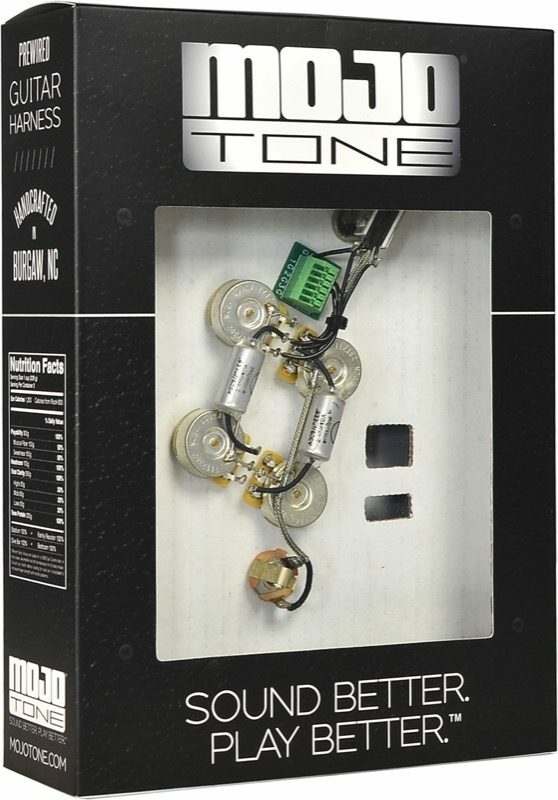 The Mojotone Solderless SG Guitar Wiring Harness provide an easy installation solution and reliable connections with the simple push and release of a button, all while offering a superior quality electronic upgrade for your guitar. No bulky plugs or add-ons are needed for the solderless harness to work. 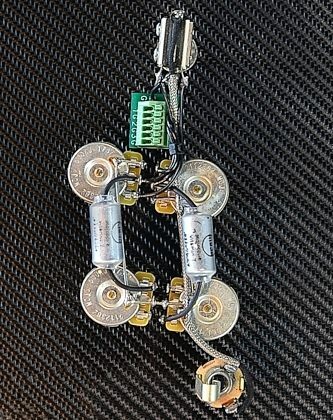 Just strip back your existing wires from your pickups and guitar, insert them into the solderless connector, and you're done!